Our impressive team of experienced tradesmen consistently complete the companies projects to the highest standards. Our skilled craftsmen are backed by a competent and professional team of support staff. allowing us to offer an all encompassing service. Accurate sourcing of suppliers, coupled with our team, ensure that no contract is beyond our expertise. We offer the highest quality washroom solutions and a unique service to each of our clients. 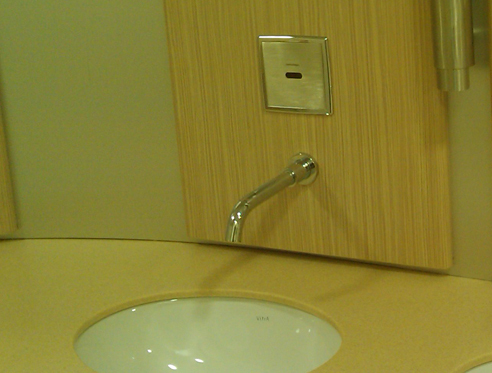 Our ranges of cubicles and washrooms continue to lead in the sector and outmatch our competition. The value we offer our customers is evidenced by the amount of work we carry out for various local authorities and other private companies, who demand the highest quality of workmanship and value for money. These are standards that Oliveti Cubicles consistently achieve and maintain for all our customers at all times. We choose all our parts carefully to ensure we provide the best value for our customers and continue to innovate in functionality and visual appearance. Oliveti cubicles has built up its business and reputation on recommendations and referrals from many satisfied customers. We do not believe in making promises we cannot keep - developing and adhering to realistic programmes that allow you to work with us to complete your project on time and with a minimum of disruption is our way of working, but still remaining a professional, friendly and reliable company.